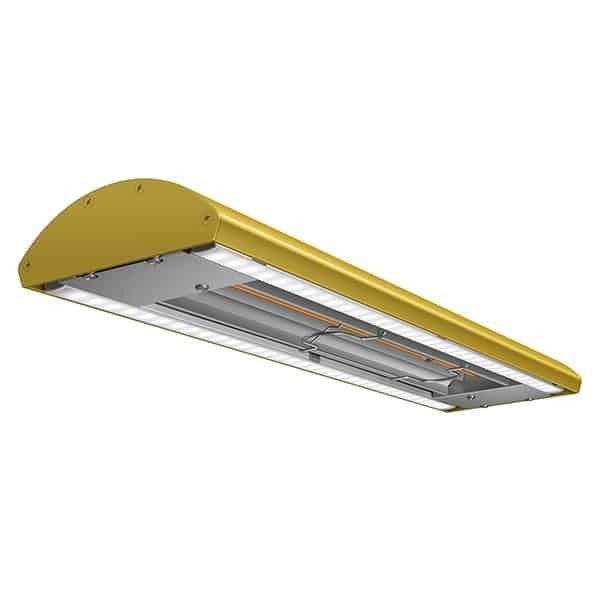 This stylish patented design, based on our signature Glo-Ray® strip heaters, is the perfect solution for your front-of the-house applications. Superb for buffet and serving lines, the sleek curved design minimizes its size while accenting and warming the products below. Warm LED lighting provides perfect coloring and coverage while lowering energy costs. The entire holding surface is heated evenly with no “cold” spots thanks to Hatco's dependable infrared element technology. Hatco's wide array of colors help provide the right look for your venue. Narrow, curved design: 2"H by 6"D (51 x 150 mm) uses a very small footprint. Required: must specify total lead length.